My guardian filed a complaint with the veterinary board for Connecticut, also known as the Department of Public Health. Below is an explanation of why she did this. The vet board concluded “no violations of the statues governing veterinary practice have been identified. Therefore the case is closed.” My guardian has asked the vet board for an explanation of this finding because the law states that a veterinarian is not allowed to represent himself to be something he is not. See Section 20-202 (5), “The publication or circulation of any statement of a character tending to deceive or mislead the public…” Donald Deforge advertised he was a dental specialist in numerous websites, some of which were his own. Donald Deforge never was a dental specialist. He also advertised he was a critical care/emergency center. He did not meet the guidelines to advertise that either. As of today, my guardian has not received any explanation from the vet board about how they found in this manner. She asked for a hearing to appeal the finding and was not answered. My guardian was left with no other option but to sue the vet board. My guardian had to present my case herself, with assistance from her attorney. The CT Attorney General’s Office represented the vet board. At the hearing, the Judge informed my guardian that no avenue for appeal exists and that it has to be addressed with the legislature. Lisa Taylor-Austin, the appellant in the above referenced matter, hereby appeals the February 26, 2010 decision of the Connecticut Department of Public Health regarding complaint 2009-0305-047-006, pursuant to the Uniform Administrative Procedure Act, C.G.S. Section 4-183. 1. At all times relevant herein, Lisa Taylor-Austin has been a Connecticut resident with a residence of … Milford, Connecticut 06460. 2.At all times relevant herein, Donald Deforge, VMD, d/b/a Silver Sands Veterinary Center and CT & NY Specialty Centers for Oral Care has been conducting business at 17 Seemans Lane, Milford, Connecticut 06460. 3. This action is an appeal pursuant to Connecticut General Statutes Uniform Administrative Procedure Act, C.G.S. Section 4-183. 4. Donald Deforge, VMD has a Connecticut veterinarian license number of 1019 and a controlled substance certificate, CSP.0008653. 5. By its decision on the appellant’s complaint, said decision being issued on February 26, 2010, the Department of Public Health “concluded no violations governing veterinary practice have been identified,” with regard to the appellant’s compliant against Donald Deforge, VMD. 6. The Department of Public Health’s decision lacks a basis in fact and is clearly erroneous in view of the reliable, probative and substantial evidence on the whole record below. 7. More specifically, the appellant presented the respondent with reliable, probative and substantial evidence that Donald Deforge, VMD, d/b/a Silver Sands Veterinary Center and CT & NY Specialty Centers for Oral Care did publish and circulate statements of a character tending to deceive or mislead the public. 8. Donald DeForge, VMD was not and is not a “dental specialist.” He has advertised that he is a “dental specialist” since, at least, 2005 to the present. 10. Donald Deforge, VMD is not and was not a Diplomate of the American Veterinary Dental College. 11. Donald Deforge, VMD is a Fellow of the Academy of Veterinary Dentistry (AVD). The Academy of Veterinary Dentistry is a group that any veterinarian can join if they have an interest in dentistry. An interest does not translate into specialty credentials. An interest or fellowship in the Academy of Veterinary Dentistry does not bestow a “dental specialist” designation. 12. Donald Deforge, VMD advertises himself and at least one of his businesses Silver Sands Veterinary Center and CT & NY Specialty Centers for Oral Care, as a “specialty/referral” facility. 14. Donald Deforge, VMD is not a board certified dental specialist, board certified veterinary criticalist or other board certified veterinarian. 18. The Department of Public Health received notification and documentation that Donald Deforge, VMD was not a dental specialist and was deceiving and misleading the public in complaint number 2009-0305-047-006, sent to them on February 9, 2009. 20. The American Veterinary Dental College letter dated March 29, 2009 was sent to the Department of Public Health with complaint number 2009-0305-047-006. 22. The appellant’s cat, Simba, was not monitored nor did she receive any care from 8:00PM through 8:00AM during her 13 day stay at Donald Deforge, VMD’s facility. 23. Donald Deforge, VMD is not a Board Certified veterinary criticalist. 25. The Department of Public Health received notification and documentation that Donald Deforge, VMD was advertising himself as an “emergency” facility and “critical care” facility and was deceiving and misleading the public in complaint number complaint number 2009-0305-047-006. 27. Donald Deforge, VMD left and/or leaves 17 Seemans Lane, Milford, CT 06460 to travel to work at: New York Veterinary Specialty Center in Farmingdale, NY; the East End ER in Riverhead, NY and Hudson Highlands Veterinary Medical Group in NY (a minimum of once per week to each facility). 28. Donald DeForge is the only veterinarian on staff at his facility located at 17 Seemans Lane, Milford, CT 06460. 29. The advertisement of “critical care” facility on his property located as 17 Seemans Lane, Milford, CT 06460 is deceiving and misleading to the public and a violation of the Connecticut Veterinary Practice Act, Statute 384, Section 202. 30. Connecticut General Statutes, Section 4-183 provides, in pertinent part that a person who has exhausted all administrative remedies available within the agency and who is aggrieved by a final decision may appeal to the Superior Court as provided in this section. 31. The appellant has demonstrated good cause to reopen or vacate the respondent’s decision and the ends of justice so require. It is indisputable that the Department of Public Health failed to follow statute mandate and follow its own regulations in this matter. It is indisputable that the Department of Public Health’s own regulations and statue states that disciplinary action be taken for a statement of a character intended to deceive or mislead the public. 32. For the forgoing reasons the appellant requests that the decision of the Department of Public Health rendered on February 26, 2010 be vacated so that the appellants appeal may be considered on its merits. 3. Award the appellant such other and further relief as may be available and applicable pursuant to Connecticut law. WHEREFORE, pursuant to C.G.S. 4-183, the appellant respectfully requests that the Court sustain her appeal and Order the respondent to take such action as is necessary to address the violations by Donald Deforge, VMD. On February 9, 2009 the Plaintiff filed a formal complaint with the State of Connecticut Department of Public Health against Donald DeForge, VMD, d/b/a Silver Sands Veterinary Center and CT & NY Specialty Centers for Oral Care. The complaint was in relation to the Plaintiff’s female cat, Simba, who had approximately 28 teeth removed in one operation on December 16, 2008 by Donald DeForge, VMD and the manner in which the cat and the Plaintiff were treated by him. The complaint was seven pages in length and was accompanied by attachments A-U2 and three photographs of Simba. The complaint asked the Department of Health to issue sanctions pursuant to C.G.S. Section 19a-17 against Donald DeForge, VMD. Donald DeForge, VMD falsely represented to the Plaintiff that he was a “veterinary dental specialist” and licensed to provide veterinary “critical care.” The complaint further states that Donald DeForge, VMD falsely advertised these credentials to the public, which included the Plaintiff. The complaint demonstrated how Donald DeForge, VMD violated Connecticut General Statue 384, Section 20-202, “(5) the publication or circulation of any statement of a character tending to deceive or mislead the public,” and numerous ethical violations of the American Veterinary Medical Association (AVMA), Principles of Veterinary Medical Ethics of the AVMA; and the Connecticut Veterinary Medical Association (CTVMA), Code of Ethics. The complaint included a letter from the American Veterinary Dental College (AVDC), dated March 29, 2009, the sole professional organization to bestow the credential of “dental specialist,” which stated that Donald DeForge, VMD, “is not a Diplomate of the AVDC” and therefore, is not a “dental specialist.” The letter continued, “Dr. DeForge did not complete the AVDC credentialing requirements and as a result has never been eligible to take the AVDC diploma examination.” The letter cited the CVMA Code of Ethics the AVDC officials believed had also been violated. The complaint included a copy of the 2008-2009 Connecticut Veterinary Medical Association (CVMA) Membership Directory, in which Donald DeForge, VMD was listed as an AVMA Board Certified Specialist with the American Veterinary Dental College (AVDC). This same directory documents Donald DeForge, VMD using the term “specialty center for oral care” in the name of one of his businesses. The Connecticut Department of Public Health, Practitioner Licensing and Investigation Unit acknowledged receipt of the above complaint on February 19, 2009, and on March 5, 2009 assigned the complaint to Karen Wilson, Health Program Associate, to gather further documentation. The complaint was assigned Petition No. 2009-0305-047-006 by the State of Connecticut Department of Public Health. On March 6, 2009 an Addendum to Complaint (Petition No. 2009-0305-047-006)was sent via US Mail (certified 70083230000048289529) to Karen Wilson. This addendum informed the Department of Health that Donald DeForge, VMD ignored a subpoena for Simba’s medical records, and that the records were only produced after the Milford Police Department accompanied the plaintiff to Dr. DeForge’s office to obtain the records. The addendum highlighted that Donald DeForge, VMD had not allowed the Plaintiff to visit her cat for over ten days after he had removed 28 of Simba’s teeth without any definitive diagnosis. The addendum alleged that after being treated by Donald DeForge, VMD, Simba was suffering from Chronic Renal Failure as result of dehydration and prolonged hypotension during surgery. On March 10, 2009 the plaintiff sent Karen Wilson a report from Victor Rendano, VMD, MS, DACVR, DACVR(RO) [radiology specialist], written post-operatively, which stated that Simba’s radiographs demonstrated that no teeth needed to be extracted. Also sent was a letter from Diane Kitrell, DVM, DACVIM [internal medicine specialist] which stated that Simba developed renal disease after December 16, 2008, the date Donald DeForge, VMD operated on her. Both letters were acknowledged as received on March 11, 2009 and included with the original complaint. On March 12, 2009 an electronic mail was sent to Karen Wilson which demonstrated that Donald DeForge, VMD was continuing to advertise on the internet that he was an emergency and critical care veterinarian. Two additional websites were added to the complaint which demonstrated Donald DeForge, VMD advertised himself as a “dental specialist” and as a “specialty practice”. On May 7, 2009 the Plaintiff submitted a medical record review of Simba’s care. This review was written by Janyce Seahorn, DVM, MS, DACVA, DACVIM, DACVECC [critical care specialist, internal medicine specialist, and anesthesiology specialist] and was dated May 5, 2009 and served as a second expert opinion. The report outlined numerous medical problems with Simba while under the care of Donald DeForge, VMD: Simba was in a state of hypotension for over 20 minutes during a three hour surgery which caused Chronic Renal Failure; Donald DeForge, VMD did not record the amount of subcutaneous fluid administered to Simba over 10 days, proper pain medication was not utilized by Donald DeForge, VMD; and a lack of proper testing was completed by Donald DeForge, VMD. The report also stated that Donald DeForge, VMD had advertised himself as a “dental specialist” and is not such a specialist. On August 5, 2009 a notarized letter from Kathy Morse was submitted to the Department of Public Health. This witness stated that she observed Donald DeForge, VMD refuse to release Simba into the Plaintiff’s care and he also refused to allow the Plaintiff to visit her cat for over 10 days. On August 7, 2009 the Plaintiff sent Karen Wilson an email that demonstrated Donald DeForge, VMD was still advertising on the internet as a “dental specialist”. The Plaintiff asked this to be included with the original complaint. The Plaintiff also sent a rebuttal to Donald DeForge, VMD’s response to the Connecticut Department of Public Health. This rebuttal was acknowledged as received on August 10, 2009 and was included in the original complaint. On January 2, 2010 the Plaintiff sent Karen Wilson an email that demonstrated that Donald DeForge, VMD, was advertising on the internet as having an “oral specialty,”. This was acknowledged by Karen Wilson on January 4, 2010 and was added to the original complaint. On February 5, 2010, approximately one year after filing the original complaint, the Plaintiff sent correspondence (via certified mail 70092250000300689377 and electronic mail) to the Connecticut Department of Public Health asking for a final ruling on the complaint. The correspondence of February 5, 2010 specifically identified Connecticut General Statute Chapter 384, Section 20-204a as the basis of the complaint. At no time before issuing this decision did the Department of Public Health ever hold a hearing or seek additional information from the plaintiff. The decision offered no additional administrative remedy, or any way for the plaintiff to file an appeal within the Department of Public Health. The plaintiff conducted legal research of C.G.S. Section 20-203 and Section 4-183, and filed an appeal of the decision issued by the Department of Health with the Connecticut Superior Court. In response, the Attorney General’s Office has appeared on behalf of the state of Connecticut, and seeks to dismiss the plaintiff’s appeal on the basis that she has not exhausted her administrative remedies. The brief filed by the defense does not offer any evidence of any other administrative remedy for the plaintiff or any other way for her to appeal the decision of the Department of Public Health not to take action against Dr. DeForge. Any person aggrieved by a final decision of said board taken under section 19a-17 may appeal there from as provided in section 4-182 Such appeal shall be privileged. (a) A person who has exhausted all administrative remedies available within the agency and who is aggrieved by a final decision may appeal to the Superior Court as provided in this section. The filing of a petition for reconsideration is not a prerequisite to the filing of such an appeal. (b) A person may appeal a preliminary, procedural or intermediate agency action or ruling to the Superior Court if (1) it appears likely that the person will otherwise qualify under this chapter to appeal from the final agency action or ruling and (2) postponement of the appeal would result in an inadequate remedy. In the case at bar the plaintiff was not afforded a hearing by the Department of Health, and she has not received due process. Grimes v. Conservative Com’n of Town of Litchfield, 243 Conn. 266, 703 A.2d 101 (1997). Judicial review of the administrative process is now necessary, in order to insure that the Department of Public Health properly considered the evidence presented, and acted in a fundamentally fair manner. Altholtz v. Connecticut Dental Com’n, 4 Conn. App. 307, 493 A.2d 917 (1985). The plaintiff’s complaint was dismissed by the Department of Public Health. Their defense offers no evidence of a mechanism available to the plaintiff to appeal that decision. Instead, the defense takes the position that the agency’s decision is simply final, and is not subject to judicial review. The defense ignores the statutory appeal process enacted by the legislature, which clearly gives the plaintiff standing to appeal the agency’s decision to the Superior Court. In addition, even if an appeal process were available to the plaintiff through the Department of Public Health, the agency’s refusal to hold a single hearing or to even articulate the reasons for the decision, make it clear that filing an appeal with that agency would be a futile process. In such circumstances, the plaintiff is entitled to appeal directly to the Superior Court. Santana v. City of Hartford, 94 Conn. App. 445, 894 A.2d 307, affirmed 282 Conn. 19, 918 A.2d 267 (2006). The plaintiff is exercising her right to seek due process and a fair hearing of the complaint she filed against Dr. DeForge. The Superior Court is the proper forum to hear her appeal. The defendant’s Motion to Dismiss should be denied. Also enclosed you will find an email from the American College of Veterinary Emergency and Critical Care (ACVECC), which states that Donald Deforge is not a board certified critical care specialist. The signage outside his property reads, “critical care” and “emergency ER.” He is the only veterinarian on the premises. I have also included for your review, the American College of Veterinary Emergency and Critical Care Guidelines for emergency and critical care facilities. This outlines that a critical care facility should be open 24/7 with a licensed veterinarian on the premises at all times. Simba’s medical records shows that she was never checked on between 8pm and 8am for 12 days and would have been if this was a 24/7 day facility. If you call 203-877-3221 after 8pm you will hear a recording that Silver Sands Veterinary Center is closed and is not open 24/7. 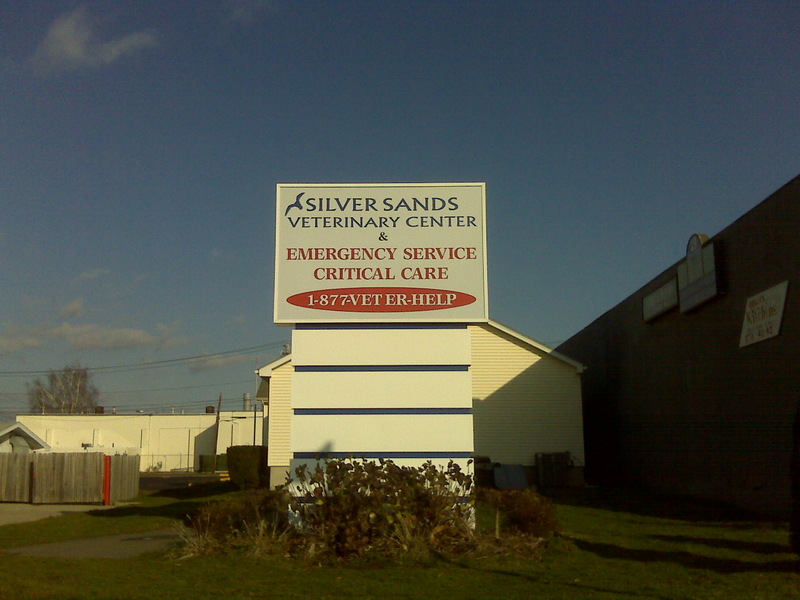 Callers get referred to emergency 24/7 hospitals (i.e. VCA). I am requesting a hearing in this matter. If a hearing is not granted I would like a final decision from the Department of Public Health on this matter, outlining the rationale as to how these facts do not violate Section 20-202 of CT Veterinary Medicine Statute, C.G.S. 384. On February 9, 2009 I filed a formal complaint with the State of Connecticut Department of Public Health against Donald DeForge, VMD, d/b/a Silver Sands Veterinary Center and CT & NY Specialty Centers for Oral Care. The complaint was in relation to my female cat, Simba, who had approximately 28 teeth removed in one operation on December 16, 2008 by Donald DeForge, VMD and the manner in which the cat and I were treated by him. The complaint was seven pages in length and was accompanied by attachments A-U2 and three photographs of Simba and a video. The complaint documented that Donald Deforge, VMD advertised in numerous places that he was a “veterinary dental specialist” and licensed to provide veterinary “critical care.” The complaint further states that Donald Deforge, advertised these credentials to the public, which included me. Documentation was provided that he was/is not a dental specialist or critical care specialist. The complaint included a letter from the American Veterinary Dental College (AVDC), dated March 29, 2009, the sole professional organization to bestow the credential of “dental specialist,” which stated that Donald DeForge, VMD, “is not a Diplomate of the AVDC” and therefore, is not a “dental specialist.” The letter continued, “Dr. DeForge did not complete the AVDC credentialing requirements and as a result has never been eligible to take the AVDC diploma examination.” The letter cited the CVMA Code of Ethics the AVDC officials believed had also been violated. This letter asked for disciplinary action to be taken against Donald Deforge, VMD. CT Veterinary Medical Association (CVMA) Membership Directory, in which Donald DeForge, VMD was listed as an AVMA Board Certified Specialist with the American Veterinary Dental College (AVDC). This same directory documents Donald DeForge, VMD using the term “specialty center for oral care” in the name of one of his businesses. On March 6, 2009 an Addendum to Complaint (Petition No. 2009-0305-047-006) was sent via US Mail (certified 70083230000048289529) to Karen Wilson. This addendum informed the Department of Health that Donald DeForge, VMD ignored a subpoena for Simba’s medical records, and that the records were only produced after the Milford Police Department accompanied me to Dr. DeForge’s office to obtain the records. The addendum highlighted that Donald Deforge, VMD had not allowed me to visit my cat for over ten days after he had removed 28 of Simba’s teeth without any definitive diagnosis. On March 10, 2009 I sent Karen Wilson a report from Victor Rendano, VMD, MS, DACVR, DACVR(RO) [radiology specialist], written post-operatively, which stated that Simba’s radiographs demonstrated that no teethneeded to be extracted. Also sent was a letter from Diane Kitrell, DVM, DACVIM [internal medicine specialist] which stated that Simba developed renal disease after December 16, 2008, the date Donald DeForge, VMD operated on her. Both letters were acknowledged as received on March 11, 2009 and included with the original complaint. On March 12, 2009 an electronic mail was sent to Karen Wilson which demonstrated that Donald DeForge, VMD was continuing to advertise on the internet that he was an emergency and critical care facility. Two additional websites were added to the complaint which demonstrated Donald DeForge, VMD advertised himself as a “dental specialist” and as a “specialty practice”. On May 7, 2009 I submitted a medical record review of Simba’s care. This review was written by Janyce Seahorn, DVM, MS, DACVA, DACVIM, DACVECC [critical care specialist, internal medicine specialist, and anesthesiology specialist] and was dated May 5, 2009 and served as a second expert opinion. The report outlined numerous medical problems with Simba while under the care of Donald DeForge, VMD: Simba was in a state of hypotension for over 20 minutes during a three hour surgery which caused Chronic Renal Failure; Donald DeForge, VMD did not record the amount of subcutaneous fluid administered to Simba over 10 days, proper pain medication was not utilized by Donald DeForge, VMD; and a lack of proper testing was completed by Donald DeForge, VMD. The report also stated that Donald DeForge, VMD had advertised himself as a “dental specialist” and is not such a specialist. On August 5, 2009 a notarized letter from Kathy Morse was submitted to the Department of Public Health. This witness stated that she witnessed Donald Deforge, VMD refuse to release Simba into my care and he also refused to allow the me to visit my cat for over 10 day. On August 6, 2009 Karen Wilson acknowledged receipt of Kathy Morse’s letter and it was added to the original complaint. I was further informed that a consultant had been found by the Department of Public Health for peer review of my complaint. I was informed that the Department would ask for a finding from the consultant within one month’s time. On August 7, 2009 I sent Karen Wilson an email that demonstrated Donald DeForge, VMD was still advertising on the internet as a “dental specialist”. I asked this to be included with the original complaint. I also sent a rebuttal to Donald DeForge, VMD’s response to the Connecticut Department of Public Health. This rebuttal was acknowledged as received on August 10, 2009 and was included in the original complaint. On January 2, 2010 I sent Karen Wilson an email that demonstrated that Donald DeForge, VMD, was advertising on the internet as having a veterinary “oral specialty,”. This was acknowledged by Karen Wilson on January 4, 2010 and was added to the original complaint. end of letter – United States Postal Service reports this letter was delivered, August 25, 2010, 10:20 am, HARTFORD, CT 06114. No reply to this letter has ever been received by my guardian. It has been over 30 days since I wrote to you to contest this case. I have not received a response, although the postal service has confirmed delivery of my letter to you. I am awaiting your response. The Department of Public Health’s action toward this request will determine my next steps in this very serious matter. I remain hopeful the Department of Public Health will bring disciplinary action against Donald Deforge, VMD for violating Connecticut General Statutes Chapter 384 Veterinary Medicine, Section 20-202 (5). end of letter – No reply to this letter has ever been received by my guardian. has demonstrated they do not care about legal violations. CT General Statutes (the law) are ignored by them. This is Connecticut pet owner’s tax dollars at work! View veterinarians in Connecticut who have received disciplinary action by visiting the website below. After opening the document you have to search for the word veterinarian, as this includes other professions as well. Keep in mind this is only those who the Department has taken disciplinary action against. They will not release the names of those who have complaints lodged against them, even if the number of complaints is excessive.